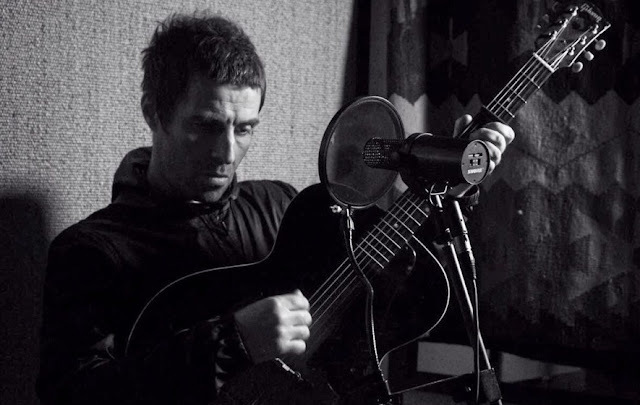 Liam Gallagher’s long-awaited solo record is imminent and will be called As You Were. The first single to precede the debut album from one of the last rock stars on Earth (and they are a dying breed) is called Not For Sale. Liam has been hyping up his own record via his twitter account when not having a pop at his older brother. Little is known about the content of the album at this stage but I’ve heard that Richard Ashcroft has helped our kid assemble a suitable band for both recording and live performances. Those live performances include a variety of summer festivals including Pinkpop in the Netherlands, Benicassim in Spain and Exit in Serbia. More dates are currently being added and no doubt As You Were will surface well ahead of its live outing. This album could be adventurously fantastic or a simply streamlined Beady Eye part two – I’m hoping for the former. LG’s Lennon/Lydon snarl has been sorely missed, in my opinion. Perhaps the length of time taken in conceiving and crafting the new material will pay off and the songs will have at least been well considered and put through a strict quality control. Hopefully As You Were will come along and show that sometimes it takes the old guard to ruffle feathers and upset what has become a very safe apple cart. I wonder will Noel give it a listen? STILL no official word on that soon to be fabled third Stone Roses album. After the singles All For One and Beautiful Thing popped up in 2016 as well as a tour announcement, the speculation has been naturally intense about one of the greatest British bands of all time actually making a follow-up record to The Second Coming. Of course for a variety of reasons that album didn’t exactly follow hot on the heels of the seminal debut so I doubt any Roses’ fan’s breath is currently being held. However, the fact that sources close to the band remain tight lipped rather than dispelling rumours is a positive sign. Whether the two aforementioned songs were simply the first to be finished or were the only juice squeezable from the lemon, only the tight unit of the band and their confidants know. We do have the gig to look forward to of course at the SSE Arena on June 13 and, new material or not the show promises to be a night to remember – which is sometimes the case with the Stone Roses who are on occasion simply mind blowing live.